The number of invitation suites you need can affect your price significantly, and you don’t want to under order, as reprints are costly! 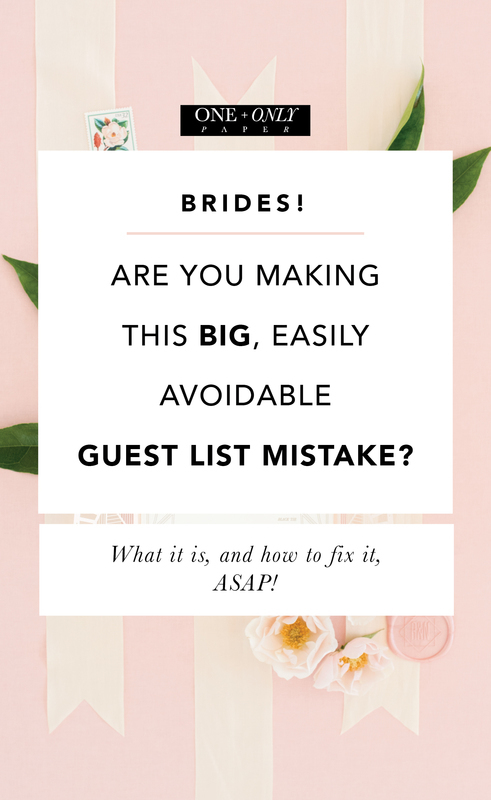 A great rule of thumb for estimating is that you need roughly 60% of the number of guests you have, but that can be confusing for some people, so I’m going to break it down today! 2. 1 to send to your photographer. And that’s it! 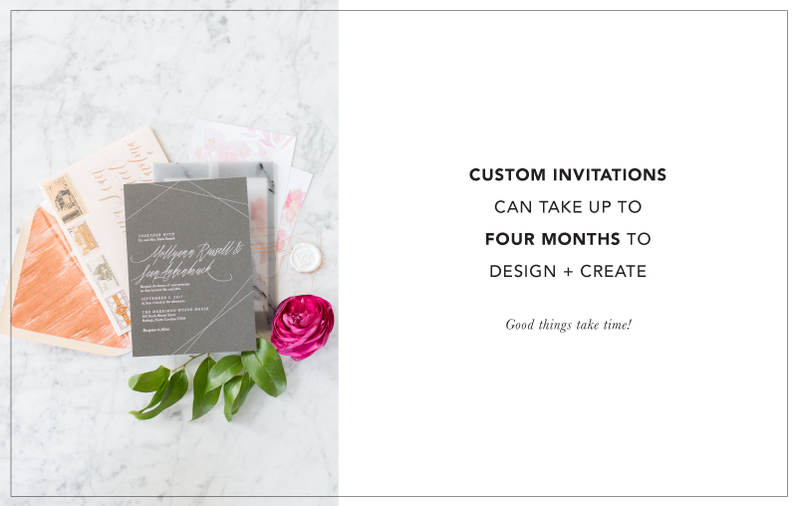 If you are still working on your guest list, you can download the One + Only Paper guest address template - it will calculate how many invitations you need, how many guests you are inviting, and help you format your addresses correctly for printing or a calligrapher.